Join us at a fundraising event in 2019! See our calendar of events and ways to get involved below. An exclusive MarketFront experience that celebrates our mission and our annual grant awards ceremony with a paddle raise by our lead donors. 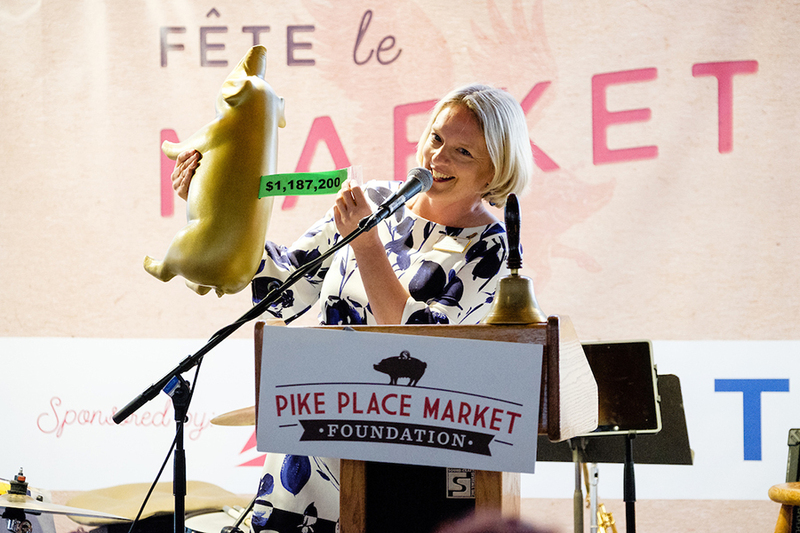 Guests celebrate the anniversary of Pike Place Market while sipping and savoring their way through 100 of the region’s best restaurants, wineries, breweries and distilleries. 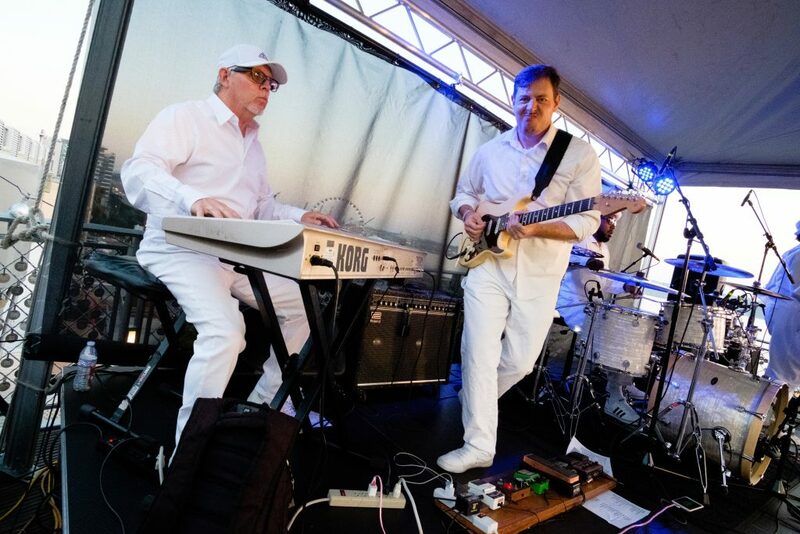 Take a chance at our Golden Raffle and dance the warm August night away to live music on the MarketFront. 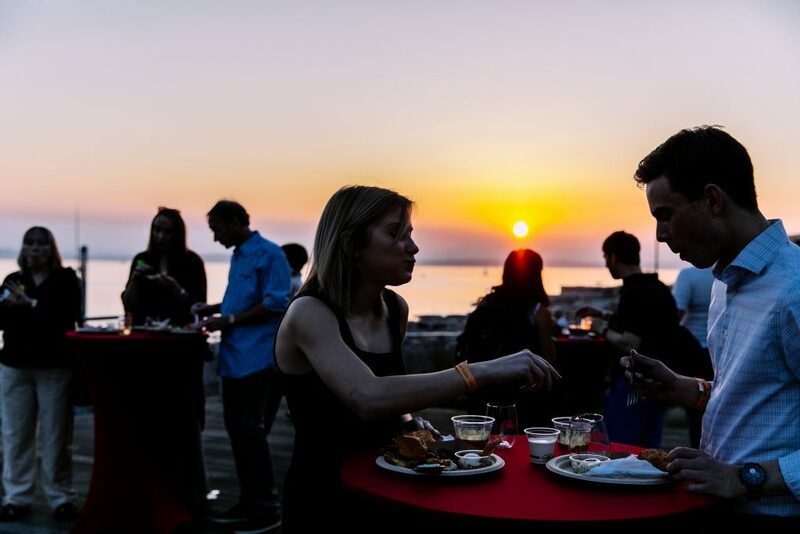 Going strong for 23 years, Sunset Supper is THE Party of the Summer! 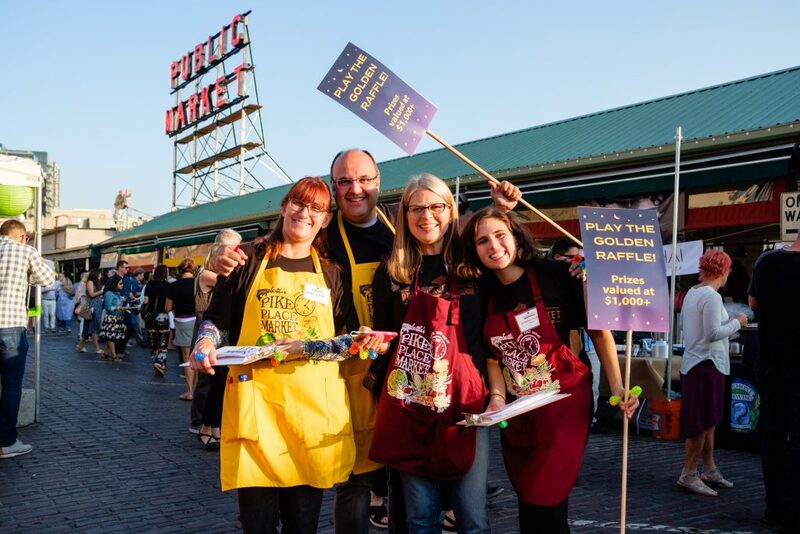 Washington’s best chefs come together at Salty’s on Alki Beach where they teach 175 excited guests their fine-dining recipes and tips in our most interactive fundraiser which benefits seniors at Pike Place Market. 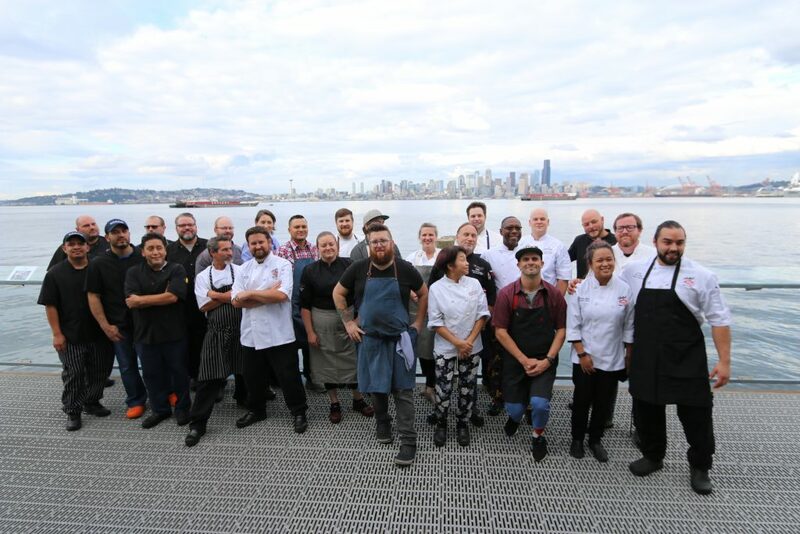 Produced by Seattle DINING, we are grateful to be the beneficiary of this unique event since 2015. Get Involved at our Events! 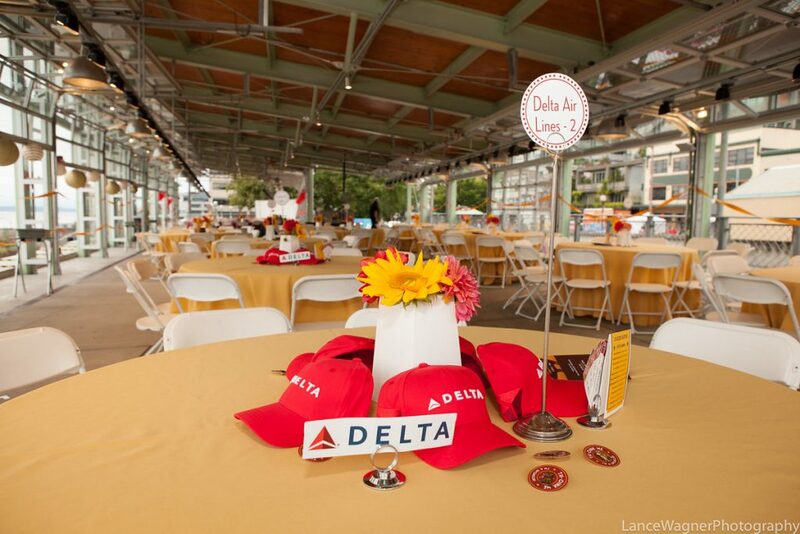 We are now seeking sponsors for our 2019 events! 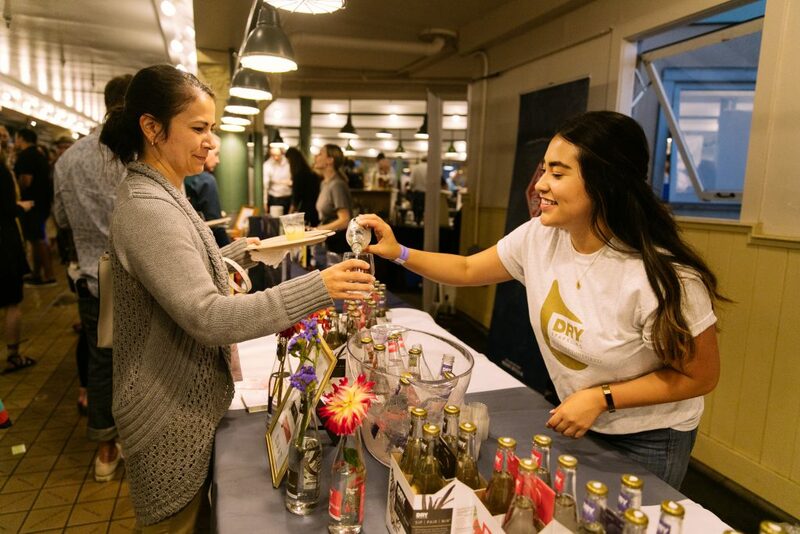 Our event sponsors significantly impact our mission of nurturing a thriving Market community while supporting some of the best historic events in the city! 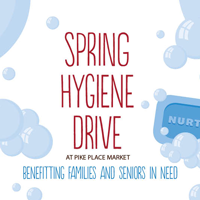 Click here to learn more, or contact christi.beckley@pikeplacemarket.org today to learn how you can. 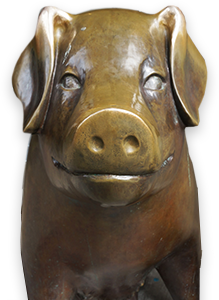 Help us by donating goods and services for our events – from Golden Raffle prizes to compostable tableware. 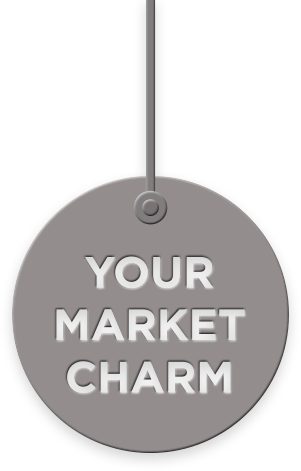 Interested in sharing your products, services or experiences as a part of our events? 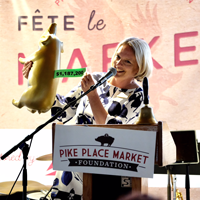 Contact tiffany.swanson@pikeplacemarket.org to learn more. It takes a village to produce our unique and fun events at the Market. Share your time and talent, and have a great time in the process! Click here to visit our Volunteer page. 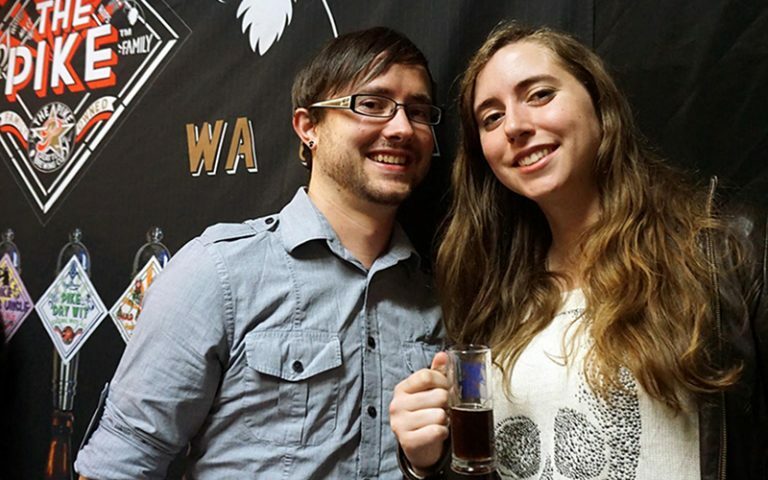 We love our local partners to come to us with creative ideas to support the Market community. Click here to learn more.